我上次直接打去日本nikon問,可唔可以接受海外訂購, 他們回應不可以呵. on line 可以接受海外訂購嗎? I want to order a black one but don't know Japanese. Does Nikon Japan online accept overseas credit card? Does DankeDanke help me place the order to Nikon? They acccept overseas cards. DankeDanke will not help you to place order, but you can simply order by yourself then ask them to forward to you. 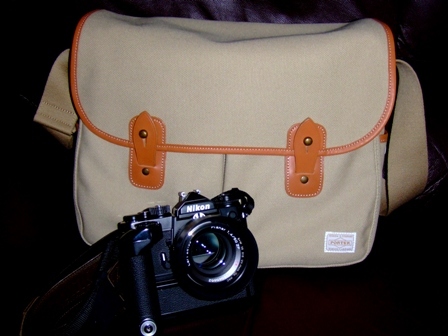 it comes without the characteristic design of the Hadley's flip cover which "lids" the whole opening of the bag body. 台灣 online 有得買, 但係成 3K !! !